5/6 Townsville viewed the video ‘If the world was a village of 100 people’. What stuck with you from this clip? 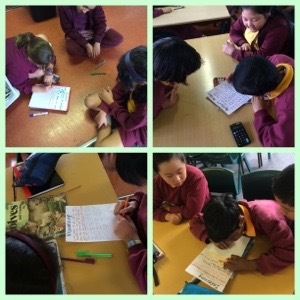 Collaboration in 5/6L and 5/6T! 5/6L and 5/6T are working collaboratively to design a mini golf course! We are identifying and using two dimensional shapes and a range of angles including invisible angles to make our course innovative! Metacognition and using thinking stems in comprehension groups! 5/6T are learning about the power of metacognition. Thinking stems can support us to actively comprehend a range of texts, today we brainstormed thinking stems to support us have deep conversations about texts with our peers! 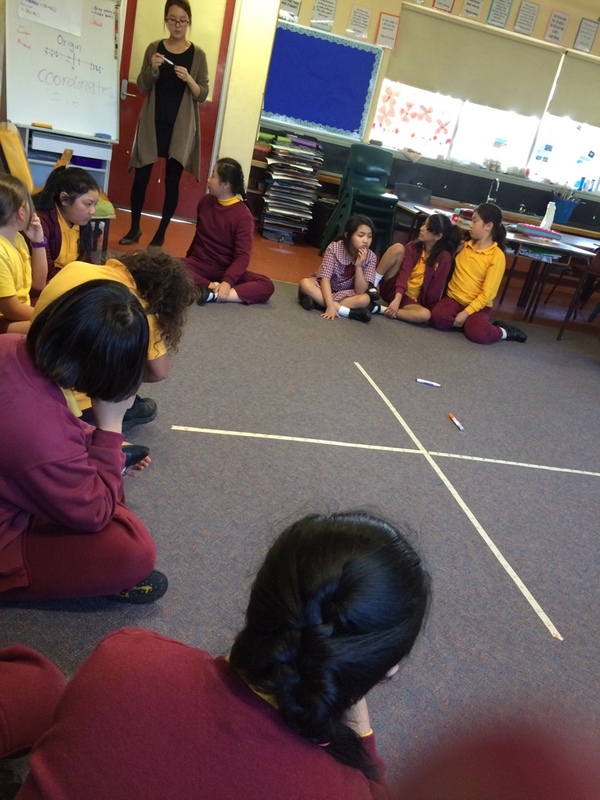 Today all the Stage Three classes attended a fun maths workshop. We learnt how to apply mental mathematics strategies and clever shortcuts to solve addition, subtraction, multiplication and division problems. Watch our videos so you can watch us explain our new learning! Investigating the cross section of three-dimensional shapes! 5/6T used modelling clay to investigate the uniform cross section of prisms. We learnt that the base of a prism is identical to the uniform cross section of the prism. Creating financial budgets in Excel! 5/6T are learning how to create simple financial budgets in Microsoft Excel! Our budget is $5000 and we are organising and itinerary for a family of four to travel to the Gold Coast! 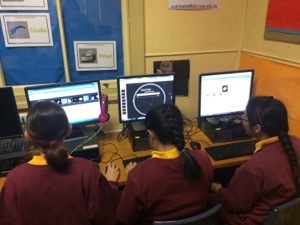 5/6T are learning to research the features of a planet and how long it takes to orbit the sun! We are currently working on presenting our information in an innovative, engaging way! What creative ways are you thinking of to present your research? Will you use a webtool? How can you show your thinking in a creative way?